We been trying to get forces together to play Warmaster, this started as a spin-of from a Warhammer campaign project that Peder I´ve been doing for a couple of years. We selected a force each and started to collect, build and paint with the same goal in mind, it was set in north of the Old world and would pit Peders Dwarfs against my Warriors of chaos all with a winter theme. As many of our projects they don't have to be quick but we almost never throw away a project. So we have played maybe two to three times, but it looks great as Peder done some nice winter terrain. 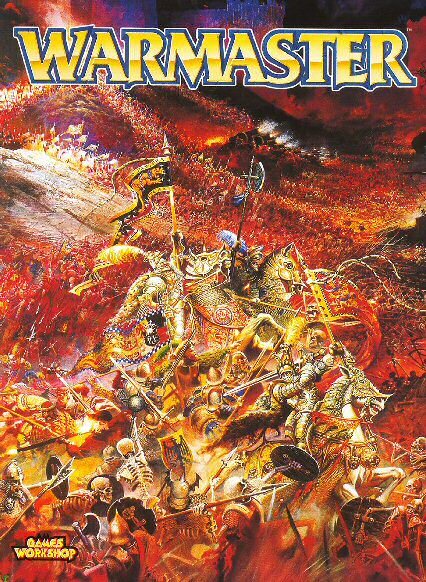 But this time around when we started to talk about Warmaster, we thought it would be great to use the same armies and themes. We even got two other players into starting armies, Magnus W with Undead and Daniel with High elves. Öberg even bought some models, Norse... 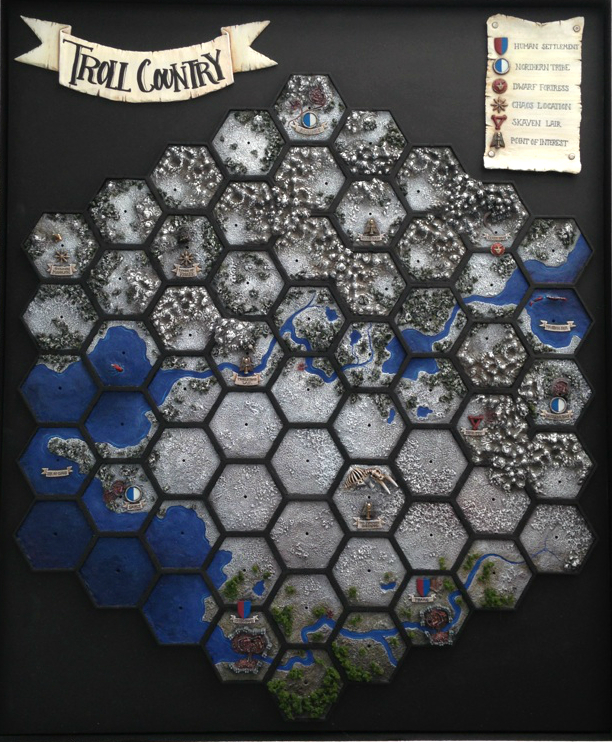 This time around inspired by all this Peder even finished his 3d map of the north, it looks great and some day we will hopefully use it as a campaign map. So now that we started to get some kind of playable forces we tried to play a couple of games. In our first game we used 500 points each with only one "hero". It feels a bit small and you could do really big maneuvers, 1000 points is probably a better place to start. In our second game we each but in extra hero to help the general, which made for a more interesting game (even though I was truly out maneuvered by Magnus W). Still haven't gotten my head around this game, it seems simple enough from a distance, but when you start to play it its not that simple. Well we will truly return to this game in the future, but I think we have to finish 1000 points to be able to play for real. Good luck! It's -- in my opinion -- one of the best rule systems Rick Priestley has written. We are looking forward to playing and learning more about it. I love the idea of a small campaign like this. Where is the troll country map from? 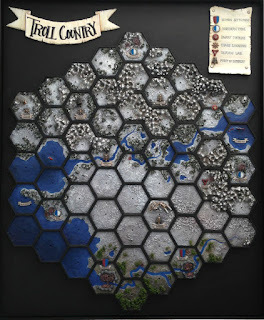 My friend Peder did it from Games Workshops Might empire tiles.